Former chief investment officer for the country’s largest non-government funds management business has swapped banking codes for a new governance role at BNZ’s wealth arm. Graham Ansell, who resigned as CIO of the $28 billion ANZ Investments last March after more than two decades with the group, has joined the board of BNZ Investment Services as director with additional responsibilities as chair of the bank’s Investment Review Committee. The BNZ investment range covers a private wealth offering as well as retail products that include the recently-launched YouWealth suite and the fast-growing KiwiSaver scheme (now over $2 billion). In total, the BNZ wealth arm manages over $5 billion. In a statement Ansell said: “Investments are in my blood – I’m constantly looking for ways to help New Zealanders achieve better outcomes with their money. These roles give me a great opportunity to do more. His BNZ appointment comes after another upper management redesign at the National Bank of Australia (NAB) owned institutions with the merger of the business and consumer banking arms and the creation of two new divisions last week. Following the unification, Paul Carter, morphs into chief customer officer partners and consumer from his previous role as chief customer officer consumer and wealth. At the same time, BNZ has lured former NAB executive general manager of private wealth, Christine Yates, from Australia to head up the new ‘private, wealth and insurance’ arm. Meanwhile, Penny Ford comes across from ANZ to lead the new BNZ corporate and institutional banking unit. Banks on both sides of the Tasman are facing extreme pressure to reform – especially in wealth management – in the wake Australian Royal Commission (RC) and the recent regulatory banking review in NZ. Last September BNZ separated its product and advice businesses, appointing incumbent head of wealth, Donna Nicolof, to run the latter while importing another Australian NAB executive, Peter Forster, to look after the former. Wellington-based trustee and fund administration firm, Trustees Executors (TE) also boosted its wealth resources last week after hiring Maryanne Fogarty in the newly-created role of national manager trusts and estates. Fogarty will lead the TE trust management team with other responsibilities covering client services, distribution and product management. Ryan Bessemer, TE chief, says in a release that Fogarty’s appointment heralds a “significant growth phase” for the group’s wealth business. “Maryanne brings outstanding capability and expertise, which will make her a valuable addition to our Private Wealth team,” Bessemer says in the statement. Prior to joining TE, Fogarty was senior manager estates at Bessemer’s old shop, Equity Trustees in Australia. Bessemer was Equity Trustees chief information officer until December 2016. The TE private wealth business boasts about $1.5 billion under management for a range of clients including trusts, charities, individuals and estates. In a flurry of other wealth appointments last week both Kiwi Wealth and AMP shored up their respective boards. 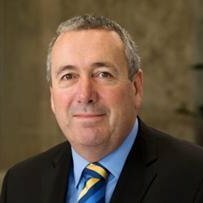 The government-owned Kiwi Wealth board named former Spark chief technology officer, David Havercroft, as director. Havercroft, who also served a stint as Spark chief operating officer, has more than 35 years’ experience in IT and telecommunications. Kiwi Wealth chair, Dame Alison Paterson, says Havercroft would be “integral to our ongoing development and implementation of industry leading-financial planning and advice tools to help all Kiwis grow their wealth”. “We’re already setting the standard for the provision of smart technology in the financial advisory sector, having gained the country’s first approval to deliver personalised digital financial advice,” says in the release. Across the ditch, the embattled AMP has named Andrea Slattery as a non-executive director. Slattery, who has an accountancy background, co-founded the Self-Managed Superannuation Fund (SMSF) Association, which represents advisers who operate in the industry. Her board appointment comes just in time to deal with an expected barrage of criticism aimed at AMP in the final RC report – due for publication today (Monday) at 6:10 pm NZ time.